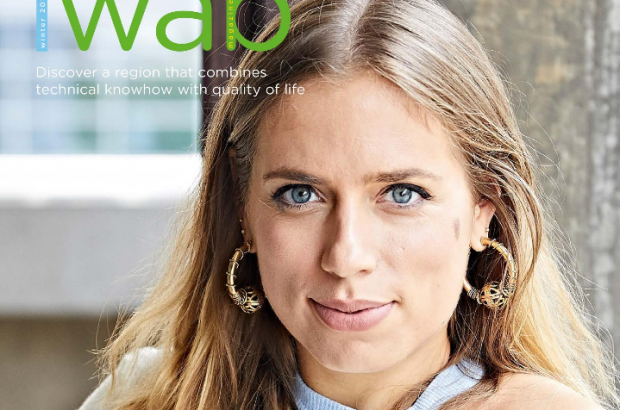 The new app for WAB magazine is available now, so you can discover what Wallonia and Brussels have to offer wherever you are. WAB – Wallonia & Brussels – is a quarterly showcase of everything that’s going on in this vibrant, productive part of the country. Every issue of the magazine is packed with news, interviews, events and features, to help you get under the skin of Wallonia and the capital. Download the free app now and you’ll never miss an issue. You’ll also have access to an archive going back to 2014, and can use the app to access our Discover Wallonia portal – a collection of online news and features from the region, plus a forum for all your practical questions about life here. The latest edition features leading scientist Emmanuelle Wilhelm, who’s just been awarded a prestigious L’Oréal/Unesco grant for her work on neuroscience. We report on the nuclear therapies developed in Wallonia that are making waves in the US, go behind the scenes at the Twist audiovisual cluster, and round up the business and politics stories making the headlines. And every issue contains our pick of cultural highlights not to be missed, from cutting-edge exhibitions to fine art and family events. WAB is published every three months by Ackroyd Publications on behalf of the Walloon Export and Foreign Investment Agency (AWEX) and Wallonie-Bruxelles International (WBI). The WAB app is available to download now for iOS and Android.